After about 10 days in Spain -- traveling by car, train and plane around a large country, where I don't know the language and can't read the road signs -- it was a profound relief and pleasure to arrive in France. We flew from Barcelona to Marseilles, rented a car and drove to a country inn in Provence for four nights. It's outside the Roman city of Arles and is called Mas de la Chapelle (which means, more or less, farm by the chapel). The inn is about 8-10 miles outside the city but feels many worlds away, and being located along an unnamed country lane, it's not easy to find even with a good quality GPS. Built around a 17th-Century (!) chapel, the property goes on for many acres that include a tiled swimming pool, gardens, statuary, water features, and various rooms for guests tucked here and there. We were housed in the main building adjacent to the chapel and the owner's quarters. No restaurant at the Mas, and given the out-of-the-way location, we had picnic dinners on the grounds most nights and enjoyed fantastic lunches in the various towns of (beautiful!) Provence that we visited. Here are a couple of photos from the grounds of the inn. Next up was Seville, which we got to via a pleasant train ride from Madrid. Our experience there was mixed, and the best food was at a tapas-oriented restaurant called Azotea that I learned about via Trip Advisor and Yelp. It's owned by a young couple -- she is American and he's Spanish -- and serves up interesting, varied small plates along with well chosen wines and (one of the owner's special niches) a selection of sherries. Here's a shot of our first plate, based around a potato salad. After just a couple of days in Seville, we rented a car and drove through the mountains down toward the Costa del Sol, Spain's beach playground on the Mediterranean. Our travel agent had booked us a small, boutique hotel in a hill town about 15 minutes from the seashore city of Marbella. The town is Benahavis and the hotel Amanhavis. This is a Moorish part of Spain and the hotel was quite charmingly decorated in that style. The food was very good there -- the best restaurant in town, so we ate not only our breakfasts there but also all three of our dinners. I didn't take pictures of the food, but here I am peering out the window of our room, overlooking the patio where meals are served. 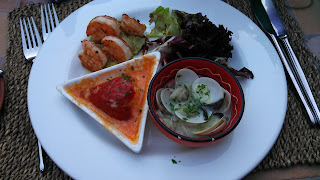 One of our favorite meals in this region was lunch by the sea in Marbella, below. From there, we drove to Granada for just one night because our travel agent insisted that we MUST see the Alhambra Palace there. And by the way, driving in Spain was hard -- our GPS was not the best, nor was our little Peugeot that wanted to overheat through the mountains, and on top of that, we don't know enough Spanish to read the road signs. Nonetheless, we enjoyed our hotel overlooking Granada, which had a wide terrace bar where we ate good, seafood based tapas and I had excellent versions of the Americano cocktail (Campari, sweet vermouth and club soda), one of my favorite summer drinks. For the final leg of the Spanish segment of our trip, we flew from Granada to Barcelona and spent a weekend there. As it turned out, Barcelona was our least favorite place in the whole three weeks trip, which was something of a surprise given how so many people told us they loved it. Oh well. I know many people who don't like Paris, my favorite city in the world. Different strokes! We had some good food in Barcelona, but the best thing was a GOURMET WALKING TOUR that took us though the market and to many notable sweets shops, bakeries, and historically important cafes. Here's a "black gin and tonic" served up at the Barcelona restaurant, Attic, which was next door to our hotel and had an enjoyable rooftop terrace. Now back from three weeks in Spain and southern France -- as usual, France was my favorite. Had some great meals, the most wonderful of which were lunches, as it turned out. And I seem to have gained maybe 3 pounds, kept that low thanks to a whole lot of schlepping, especially in Spain. We started with two days in Madrid, staying at the Hotel Villa Real, an excellent location near the Prado and other museums and parks. Our best meals actually were at the hotel, which had a great bar -- best Sangria we've ever had was mixed by two different bartenders. No bottled, pre-mixed stuff there. At the Villa Real, we had a lunch with a glass of Champagne (the real thing, French) on the house and this vegetable saute, just what I needed after a dreadful night on a Delta Airlines flight. We also had dinner there on our second night (having not found anything nearby that was as promising, and we didn't have the energy to go to another neighborhood). Dessert was very interesting: pineapple carpaccio (sliced very, very thinly) with a basil sorbet. It was light and delicious, and I'm not much of a pineapple fan. 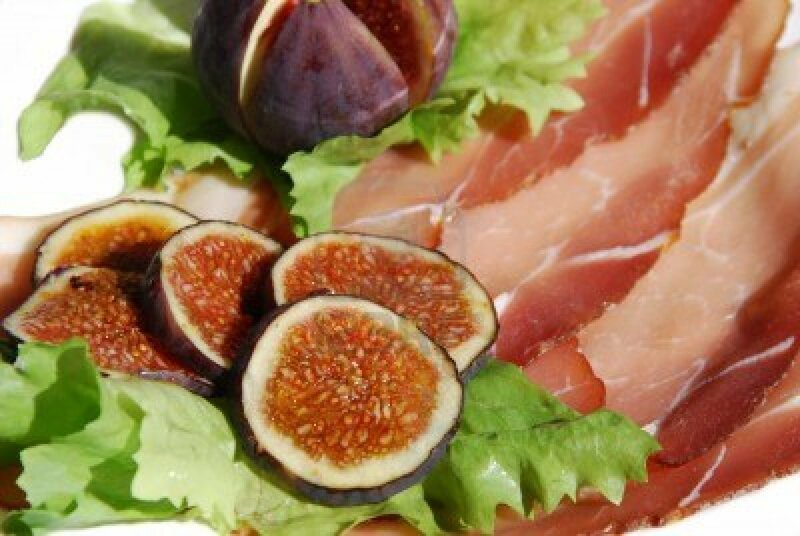 Next time, more of the best bites we tried in Spain. Got back to New York okay, but connecting flight cancelled. Had to spend night at airport hotel, along with hundreds of others. Dozens of flights scrapped due to "weather" issues that apparently failed to materialize. Now we await 7:30 am flight to Tampa (?) before we can get back to Cincinnati this afternoon. And my body is on Euro time so am wide awake at 3 am EDT. Still, we had a great vacation. I look forward to some good foodie blog posts very soon! For better or worse, vacation is over. Tales of foodie adventures in Spain and the marvelous south of France coming soon. First, the long, uncomfortable 24- hour journey home. Wish I could get the great food photos in my iPad to copy in here. By the middle of next week I will post all kinds of shots. I have to give up trying to post to this blog until we return, in late June. Today we are in Granada, flying to Barcelona tonight. Blogging from here hasn´t been easy! We found one excellent tapas restaurant in Seville, called La Azotea. 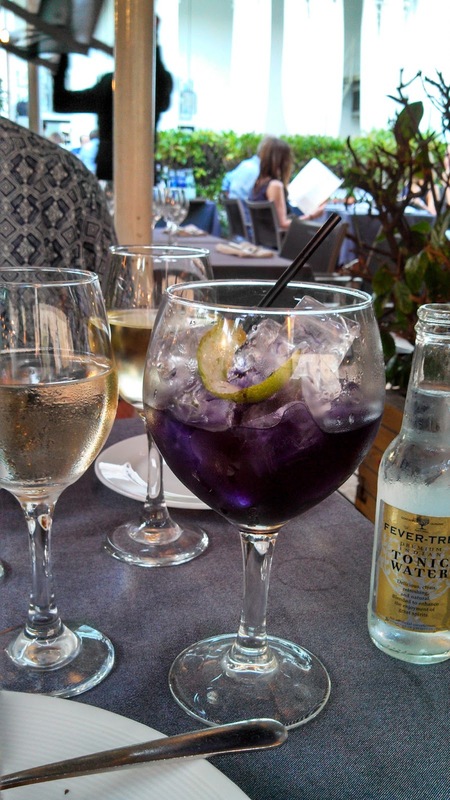 We also loved several meals in Madrid, and had a lovely lunch by the Mediterranean in the Costa del Sol town of Marbella. 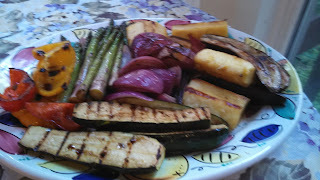 I would love to post some photos from these meals but can´t quite figure out how to do so. Lovely places, delightful food. Extra pounds? Still in Spain, southern Andalusia and the Costa del Sol. We were spending 3 nights in a hilly town above the Mediterranean called Benahavis. Our hotel is the lovely Amanhavis, a nine-room charmer in a series of buildings dating back a few centuries. They also have probably the best restaurant in the town, very convenient to finish dinner and walk 30 feet to bed. I will try to add some photos of the places and food we have enjoyed since my last post from Madrid. Apologies for the glitches due to using the iPad instead of the computer at home! Not easy to post from Spain, with intermittent WiFi access. Lots of good eats in Madrid, including many casual, locally patronized tapas bars such as One near Place Santa Ana. Photos include dome at tearoom I. palace Hotel, Madrid, and my husband at an outdoor cafe. Sorry this looks so crappy, but not used to posting from the iPad. Eating Mediterranean Cuisine -- on the scene! I'm on the eve of a grand trip to Spain and southern France. 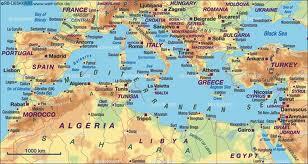 Although we fly to Madrid and spend a few days there and Seville, most of the time we'll be near the Mediterranean Sea. 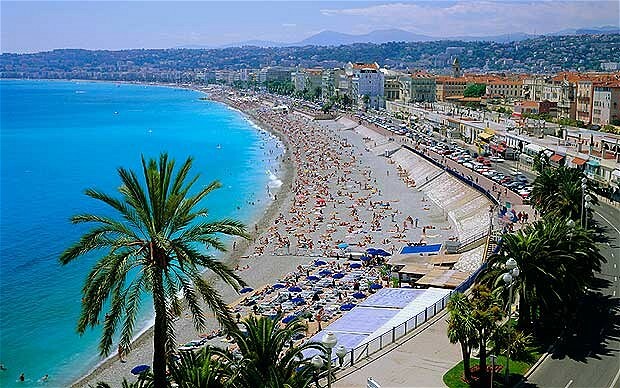 Specifically -- Costa del Sol and Barcelona (Spain), followed by Provence, Nice and the Cote d'Azur. I'm sure to be posting some lovely photos and who knows what else. But the usual "Healthy Foodies" fare will be suspended for most of June. No doubt, this will be a lot more interesting--and fun!